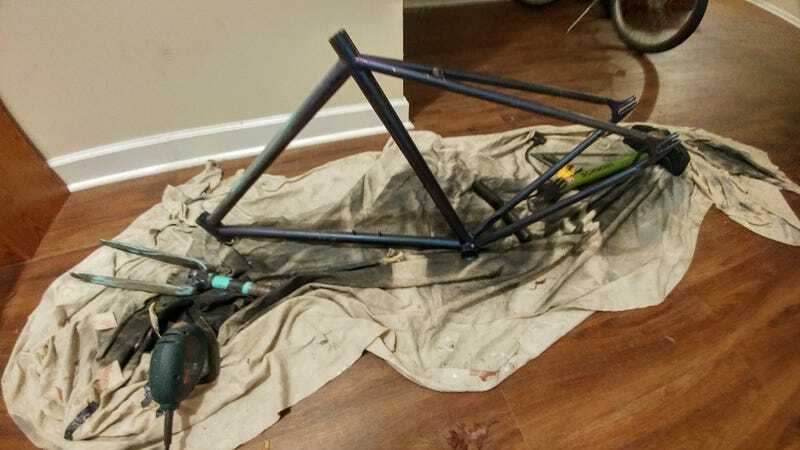 Remember that bike I was repainting? Well I picked it up again. Mainly because I was stressed and needed something to do. I think it may end up red. Also I broke a sander. That’s all I guess. I still want the paint off.